It is a known fact that the longer you own a property, the more it is ultimately costing you. By selling your house quickly, you will be able to keep more cash in your pocket, putting it toward your next investment. In our latest post, we will offer tips for selling your house in a fraction of the time in Dallas, Texas! As they say, time is money. The faster you are able to sell your Dallas property, the more cash you will be able to hold on to. Many people put the sale into an agent’s hands and go about their daily lives hoping a buyer comes along. To sell your house quickly, it will take a bit more work than that. 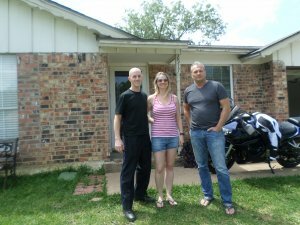 Finding a reliable direct buyer is the easiest and fastest way to sell your house in Dallas. 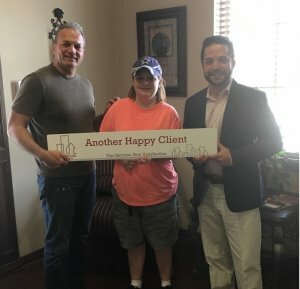 It will allow you to avoid the costs and hassles of the MLS while being able to sell your Dallas, you can be assured that you will receive a customized and fair offer based on current market conditions. 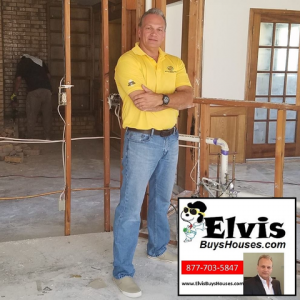 We can provide you an offer right away and close in only a matter of days, as opposed to the months it may take for the house to sell via a traditional listing. Not only will you save money, but you will also save a ton of time too. If you opt to list, you need to know as much as possible about your local market. What are houses in the area actually selling for? How long are properties typically staying on the market? Are there improvement or beautification projects happening in the area that you can highlight? What are the demographics of the people buying in your neighborhood? What can you do to market the house to them? By having a realistic perspective of the local market, you will be able to price, market, and sell your house quickly. You don’t want to sell yourself short, but by pricing your house slightly lower than the other comparable houses in your neighborhood, you will attract more attention to the property. People will always look at the lower prices homes, even out of pure curiosity. This is a great way to get your house seen by many prospective buyers in the Dallas area. This is where the real work can come in. To sell the house quickly, it is wise to clean the house from top to bottom, getting rid of any clutter lying around. Some people opt to put their personal items in storage while the house is listed. This will get everything out of the way, making your moving day that much easier. With the house free of all personal belongings, you can then opt to stage the house with a few decorative items or hire a professional to do it for you. You should keep things pretty neutral. Make the prospective buyers fell at home, yet don’t make things too personal. Some people try to save money when it comes to listing and marketing the property, but this can be a mistake. For some properties, they need that extra boost in order to get their house some attention. Put your house on all the popular listing sites such as Trulia, Zillow, Homefinder, and Homes.com. You should always try to get the best photos of the property as you can. Take the photos when the house is free of all clutter and the lighting is good. Many people choose to hire a professional photographer, ensure they the have the best photos of their home as possible. Overall, a direct sale will be the fastest and most efficient way to sell your Dallas house. If you decide you would rather list, utilize our tips to find a buyer for your house. If you would rather avoid the costs mentioned above, and sell your Dallas house in a fraction of the time, we are ready to make you an offer!